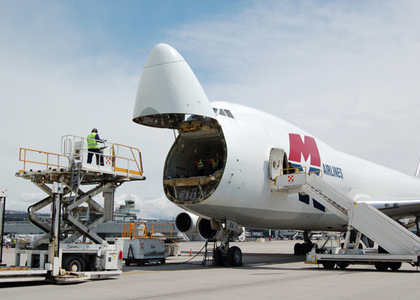 You need a service provider of effective air freight and showing flesibility and reliability to follow the evolution of your needs to answer your imperatives of deadlines for your freight. Thanks to our wide range of services at the defined hour, guaranteed and economic, Tunisia Express meets your needs of air freight self-assuredly. Several delivery times are offered: the next day or in three to five days, allowing you to cover the world with unprecedented means.